Full Moon rising with our emotions as we approach the holidays. There is a lot brewing and the cosmic news is that sensitivities will be heightened. Let’s remember this as we proceed with love and compassion for ourselves and those around us. “The Full Moon in Gemini occurs at 26 degrees on December 17th, 2013. The few days leading up to this full moon phase will be interesting as transiting Uranus in Aries at 8 degrees moves into Direct motion (outward expression). 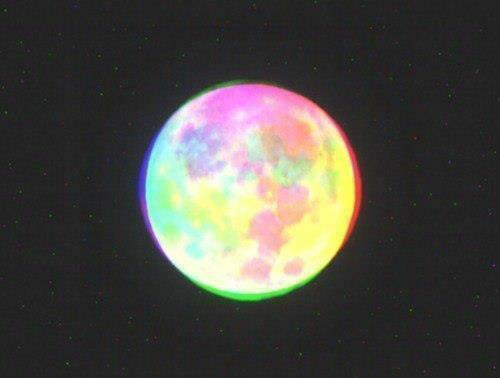 “This particular full moon will not be boring and will have an unpredictable vibe along with it. What was stuck may suddenly begin to move or shift. If emotions are clogged, they may surface and flow. Allow this. Be with it as loving as possible with your self and others. “Within the lunar cycle in astrology, the Full moon phase symbolizes illumination of something that has been in the shadows or within the dim corners of the subconscious and it comes into awareness. Though there may be waves of emotions since this phase in the lunar cycle suggests high tide within the emotional level. “The Sun and Moon are in opposing signs. The Sun is in Sagittarius ‘opposition’ to Moon in Gemini, this suggests the potential to find harmony with the truth and be flexible with additional information and feelings. It will help to check facts before making assumptions and jumping to conclusions and reacting. “With the Full Moon in Gemini, there may be an emotional restlessness or anxiety that is felt for things are not moving as fast as one thinks they should. Accept things as they are in the here and now and that puts you in touch with a different future. “The potential of the Full Moon in Gemini is to become aware of where you are engaging in dualistic thought, emotions and behaviors on auto-pilot. This may be generating a lot of mental stress and tension plus sending out mixed signals to others and the Universe. “This illumination under the symbolic rays of the Full Moon in Gemini is helpful indeed, for then you have many more options towards changing things towards what is healthy and loving. “Those on ‘auto-pilot’ may be extra chatty (Gemini) or spew verbal and emotional pent-up, undigested ‘garbled stuff.’ No one wants to hear useless chatter from within the mind and emotions. Process your issues away from Social Media, you do not need to broadcast (Sagittarius) every fragment of thought or speck of emotion. “Christmas could come with a bang. The Moon is in Libra. She is coupled with Mars. They are activating the Pluto/Uranus and Jupiter grand square. Some people may be irritable and cranky. Emotions can be raw and urgent. Breathe deeply. Ground yourself. Keep a sense of humor. Be of good cheer. Be the calm in the storm. “…The Sun and Mercury join forces on December 29. Pay attention to signs and synchronicity. There is magic in the air. You could receive an important message this day. You could have aha moments. “New Year’s Eve may be intense. Mercury couples with Pluto and squares Mars on December 31…We go into the New Year with the Pluto/Uranus Grand Square intensely activated. The Capricorn New Moon rings in the New Year on Jan 1. We awaken too many of the planets in challenging aspects with each other. Warrior Mars is on his war path. He is not happy in peace loving Libra. You could be feeling frustrated. Channel your energy into walking, meditating and relaxing. Doing something you love. What makes you feel good? “Get in the driver seat and empower yourself. Be honest with yourself. Stop arguing for your limitations. Take responsibility for your life. In this way, you can change what is not working. “You are the master of your destiny. Take your power back from society and/or other people. Learn from your mistakes. Vow to do better next year. Make a commitment to your success. “Mars in the southern hemisphere, where he now remains until February 2015, reunites us with old habits which die hard and unconscious behaviours which trip us up by virtue of their effective camouflage. “As much as Mars wants to push forward into the new, he now reminds us that the new is merely the old rehashed if we never get to grips with the changes needed to create a genuinely fresh present and future rather than a stale and oddly familiar one! “In Libra as he makes this hemisphere shift, he reminds us that we are often most unconscious in relationships with those closest to us, where habits born of familiarity keep us locked into old patterns of thought, feeling and behaviour. “In Gemini, this moon is flexible and adaptable, but even this can be a liability if what we need is commitment and forbearance while old patterns fall away and new possibilities present themselves. It’s great to be able to change with the wind when necessary, but if such flexibility is merely our way of avoiding commitment or stating our position on anything to anyone, it’s just another way to deny the fullness of life by living it in half-light. “Thankfully we have Venus in Capricorn to add her particular down to earth common-sense into the mix, reminding us that sometimes the best way in relationships really is through the challenge and out the other side rather than around the edge or off in another direction entirely. “The Gemini Full Moon opposes the Sagittarian Sun; Mercury, Gemini’s ruler, travels with the Sun lifting our mental energies to a higher frequency. Gemini is how we think, speak, write, communicate, how we gather and share information, but Sagittarius, also a sign of learning, is thought of as ‘higher mind’ and represents our beliefs. “Being able to call upon a vision of our best possible life, situation, outcome, etc….is a gift of this Full Moon (make it an inclusive, cooperative heart-centered vision, and you’re making the best possible use of Jupiter in Cancer that rules Sagittarius). “This Lunation is high on gifts as well as tensions, with a focus on feelings and unexpected turns of events. It features a search for new ways of surviving the gear grinds of life, and if necessary, ‘moves to distant lands.’ It definitely puts the spotlight on finding new ways to live! We have come through a powerful year of growth and change and while still amidst its transformational current, let’s take time to pause, and celebrate how far we have come. Self-love, self-compassion is crucial as many of us can be so hard on ourselves, and let’s extend that to others in particular those closest to us. FULL MOON Blessings to us all! Mysticmamma, thank you for your genuine giving nature of astral insights, love & light. I have so much love for your guidance & unconditional support for the spiritual community & mother earth. Thank you. I too would like to thank you for all of your beneficial messages that you send. They are most helpful. I am so excited to have the full moon in gemini sense I am one! I am very grateful for your guidance and your way of curating all this information into a place that is so gentle and caring for us all. I have been through a year of tremendous change and the guidance you have given has helped me tremendously. Thank you. Speechless but grateful as well as thankful for your inner reflections in love and wisdom.